H.G. Wells, one of the founding fathers of science fiction created a rich universe of short stories, many of which are collected here in this special deluxe edition. The Star, The Time Machine, The Land Ironclads and A Dream of Armageddon are amongst the many gems which have inspired generations of writers (including those who contribute to our own Gothic Fantasy short story editions) to explore the world around us, its pasts, its complicated present, and its many futures. New curated collections. H.G. 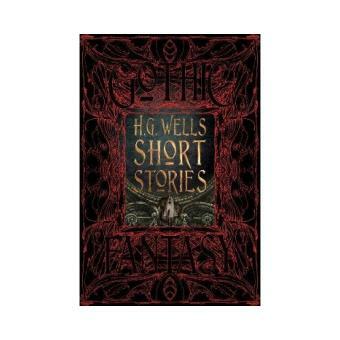 Wells, one of the founding fathers of science fiction created a rich universe of short stories, many of which are collected here in this special deluxe edition. The Star, The Time Machine, The Land Ironclads and A Dream of Armageddon are amongst the many gems which have inspired generations of writers (including those who contribute to our own Gothic Fantasy short story editions) to explore the world around us, its pasts, its complicated present, and its many futures.